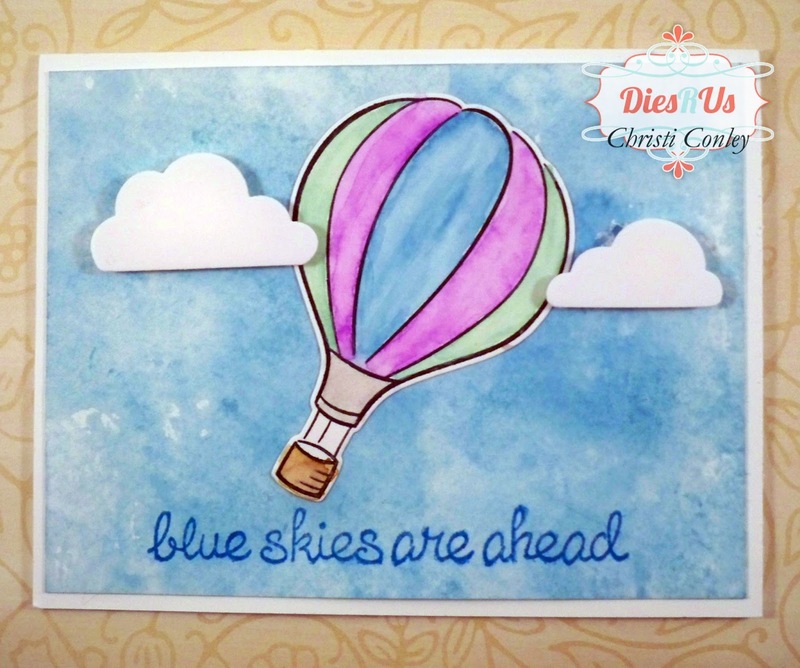 Dies R Us: Blue Skies are Ahead! Hi all - I hope you are having a fabulous summer! It's Christi here and I am sharing an encouragement card today. I hope you like it! I first made the background of the card using watercolor paper and Oxide ink in Broken China. I smooshed some ink on my craft mat, spritzed it with my Distress Sprayer and rubbed the watercolor paper all around the mat until I was pleased with the color. I set the paper aside to dry. Pistachio and Broken China; I patted the ink pad onto my craft sheet and picked up the color using my detail water brush. I love how the colors just pop! 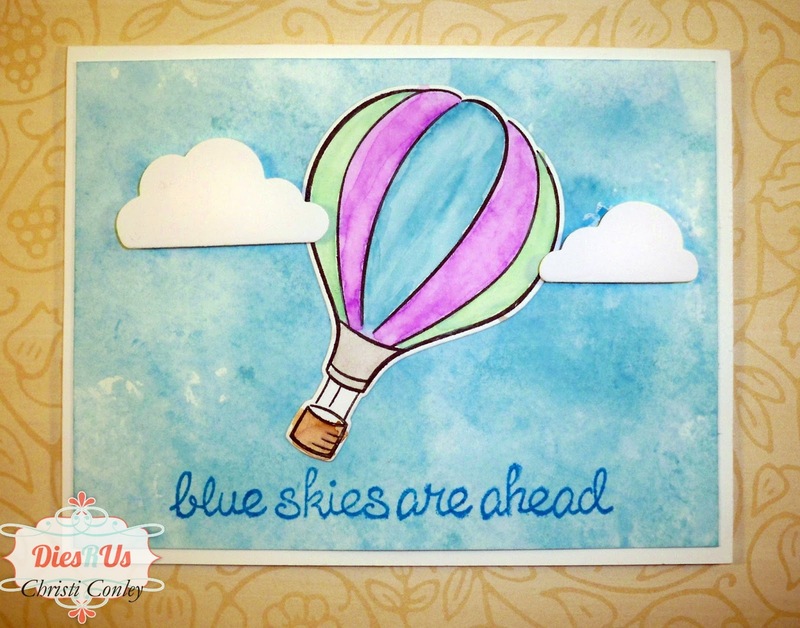 I then used Brushed Corduroy to color in the basket and Pumice Stone to color in the bottom of the balloon. 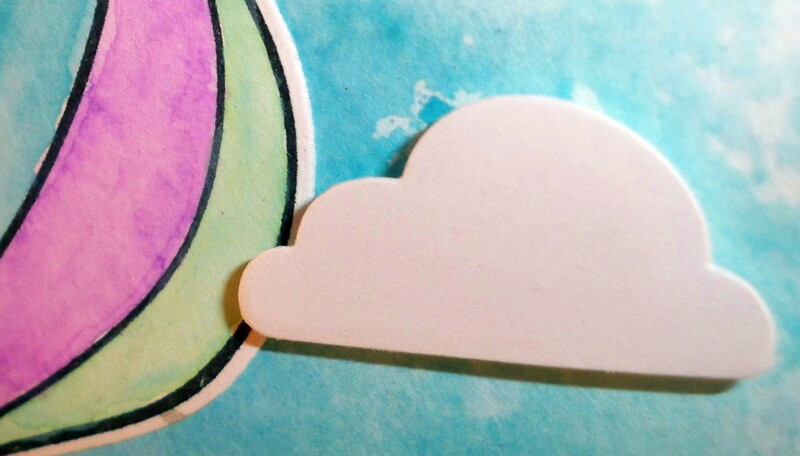 Then I die cut the clouds using white card and set all the die cuts aside. Once the background was dry, I stamped the sentiment in Mermaid Lagoon directly onto the card. I attached the balloon to the card and Pop Dotted the clouds. I even used the clouds to hide some of the background that didn't quite come out the way I wanted it! I like the simplicity of the card and how soft and soothing the colors are. The upcoming holiday can be dangerous; please be safe and keep an eye on your four legged critters - keep them inside during the fireworks; the Fourth of July holiday is when most animals run away from home and go missing due to the noise. Enjoy the Fourth of July!! If you have time in between the festivities, be sure to come back to the Inspiration Blog daily, use that Inspiration to put together your own project and enter it on the Challenge Blog for a chance to win some fabulous prizes! So very sweet and uplifting! Great job on the background and coloring. Beautiful and yes, very uplifting! Love how you popped up the clouds! Nicely done! Thanks for fabulous inspiration! Love the stamp and die set you used; very beautiful card. pretty, pretty! I just received two oxide colors! I can't wait to play! Lovely card, Christi! Simple, but so meaningful and sweet. Great background design.